EXECUTIVE SUMMARY: The company behind a popular mobile app development platform was experiencing fast growth, with hundreds of thousands of users using the platform in 140 countries to develop and launch native and web mobile apps. The large scale of operation required robust cloud technology tools to ensure the seamless delivery of data in a secure environment in all regions of the world and at any time of the day. 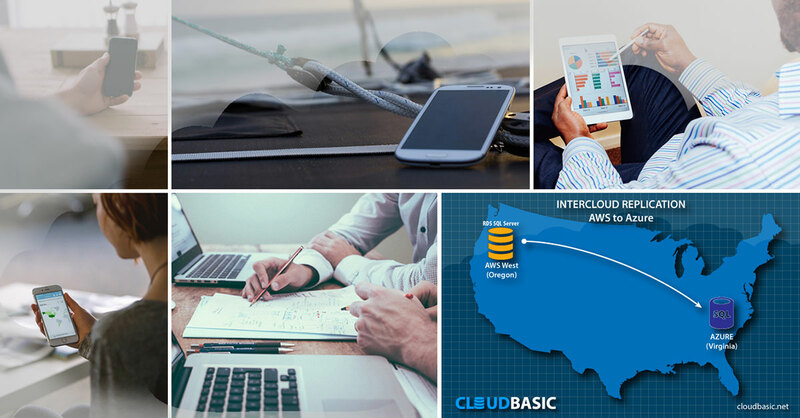 Utilizing CloudBasic’s proven geo-replication technology, the company implemented a scaleable InterCloud Disaster Recovery and Data Locality solution on AWS and Azure. The client, a Dutch startup, was founded in 2011 by a few passionate programmers, who were on a mission to set a new standard for the building of mobile apps. They developed software, which empowers users to build webapps or native apps for iPhone, Android and Windows smartphones, with no coding skills required. Making the creation of high-quality apps easy and affordable with technology that is available for everyone ensured fast business growth. Dubbed the ‘WordPress for App making’, the user base of the mobile app creation platform reached 100,000 users and resellers in 140 countries, within only a year from its launch. Over a short period the company established offices in several key markets, and in 2015 it joined forces with a leading provider of cloud-based platform solutions to expand the reach of the mobile app creation technology even farther. Bringing high-quality professional apps to the masses, while experiencing such fast growth, comes with staggering technological challenges. Users can use the app builder as long as they want, and start paying only when they publish the app in the app stores. This generates enormous volumes of user data, which must be stored, secured, and served. Meanwhile the platform development cycle must remain uninterrupted. The complexity is further multiplied by the fact that the users are spread all over the world, interacting with the platform during every second of every day. View CloudBasic's InterCloud replication benchmark with a sample scenario, involving 200GB database hosted on an AWS Virginia based RDS R3.2Xlarge instance, geo-replicated asynchronously to Azure SQL type P1. Obviously, in this business situation downtime for any reason is unthinkable. That requires the deployment of robust cloud technology solutions, which would ensure the secure handling of data and it availability in a broad range of scenarios. Enter CloudBasic. 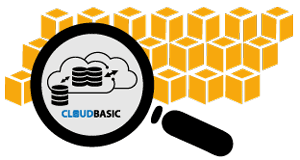 With a thorough understanding of cloud infrastructures, CloudBasic leveraged its flagship server replication technology, CloudBasic RDS SQL AlwaysOn/Geo-Replicate, to securely deploy the database systems on both AWS and Azure public clouds, and asynchronously synch the data. Combining InterCloud Disaster Recovery with Data Locality, the mobile apps can reach the nearest API, either on Amazon or Microsoft clouds. In case of a security breach, and the AWS account is compromised, the setup ensures continuous operation on Azure. In addition to the traditional DR benefits, with InterCloud DR there is the extra value of avoiding a potential public cloud provider lock-in down the road. While this may not be a disaster of Nature, it can certainly be disastrous from a business point of view, and it is now successfully prevented.